Can You Alter a House That's Been Grandfathered in for Zoning? Zoning district rules describe the building sizes and uses that may be located on every lot in a city or town. If an existing use or building size predates the zoning and would not be allowed by today’s zoning district rules, it is said to have been “grandfathered in.” Rules applying to grandfathered uses vary from place to place such that in some cities and towns a grandfathered house can be altered in some ways and in others it cannot. If a use (such as a doctor's office) was begun before zoning rules that prohibit the use were enacted, it is called a nonconforming use. If a building (serving any use) was constructed larger or taller than zoning rules later enacted allow, it is called a noncomplying structure. One set of rules applies to nonconforming uses; another applies to noncomplying structures. The zoning designation for every property in a community is displayed on the community's zoning map. The rules that apply to every zoning district are contained in the community's zoning ordinance, also called a zoning code or planning code. Both documents are often available online and always available at the community's planning department. Most planning departments have an information counter where planners can look up zoning designation and explain what rules apply. Uses are either permitted, require conditional use (meaning they may be either approved or disapproved through a hearing process), or are not permitted. The extent to which construction can cover a lot and rise in height are controlled by quantitative figures. Structure size is either permitted or requires a variance (meaning the size or location may be varied if it is approved through a discretionary review process). Although specific rules vary in different communities, grandfathered nonconforming uses and noncomplying structures can usually be altered so long as they are not enlarged. Enlargement of a nonconforming structure may require a conditional use or may not be permitted. Enlargement of a noncomplying structure may be permitted if the portion proposed for enlargement is permitted under the quantitative standards. Otherwise this process would require a variance. Can Owning Wetlands Decrease a Homeowner's Property Taxes? 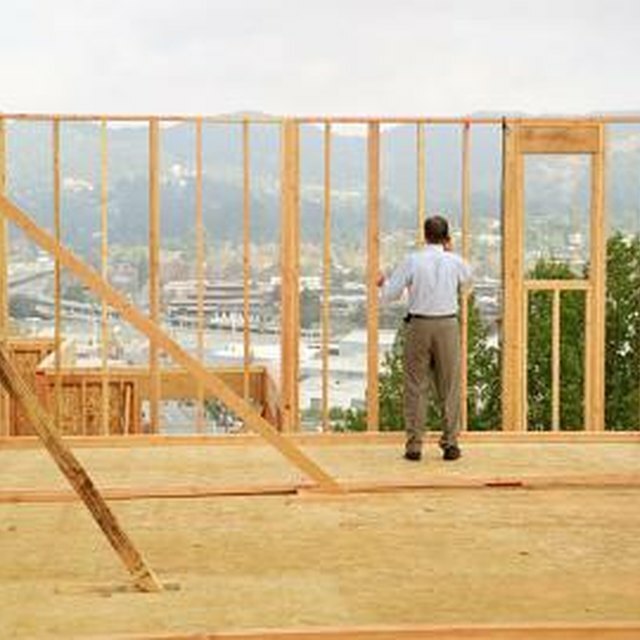 If alteration of a nonconforming use or noncomplying structure is permitted, it may require a building permit. If it is not permitted, it will first require a conditional use or variance approval, followed by a building permit. Both conditional use and variance approvals entail a set of findings that the community planners or a commission must be able to make. These findings are spelled out in the zoning ordinance. Another option a property owner may consider is a reclassification of the property into a less restrictive zoning district, which is a legislative action also requiring its own set of findings.